This authentically detailed sword is an exact replica of the pair wielded by Kratos in the hit video game series "The God of War." 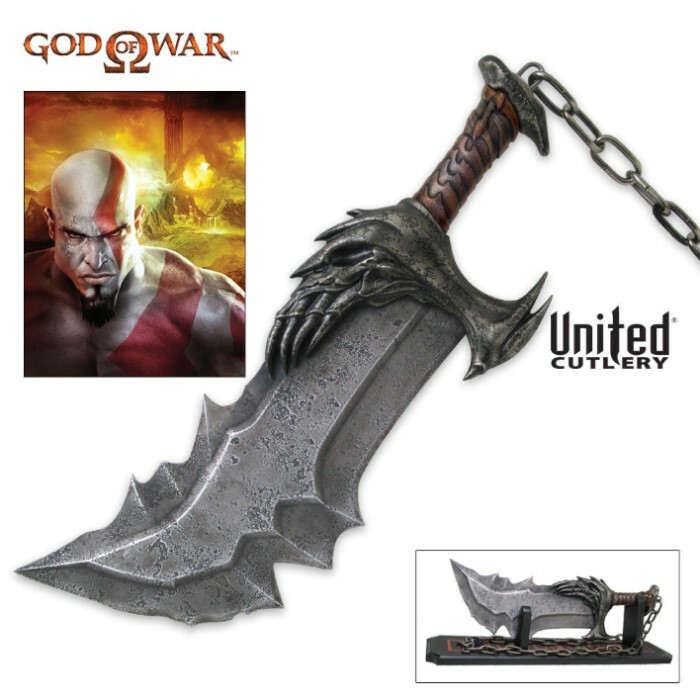 The blade is cast from zinc aluminum material with custom etched mold textures and features fantasy grindings that mirror the piece carried by Kratos. The replica was created using the finest grade materials and craftsmanship available. 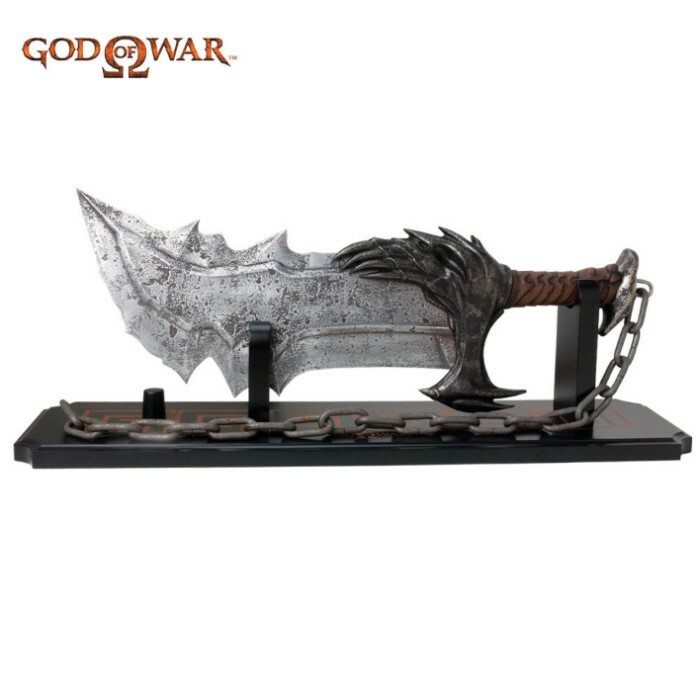 Also included is a custom tabletop display stand with God of War insignia and fantasy silk screen along with a certificate of authenticity. Close attention to quality is a top priority. The design of The Blade of Chaos was overseen by master replica supervisor, Kit Rae.